Are you in need of reputable Modesto CA limo service? 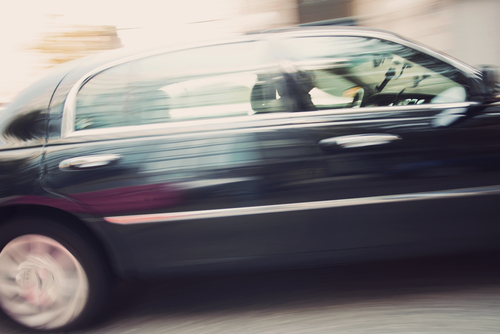 Legacy Limousine Service is the local company that can get you on the right track. We’re a highly regarded Modesto-based company that specializes in chauffeured transportation services of all varieties. We work with people who need transportation for pure leisure purposes. We work with customers who need transportation to and from events. We work with corporate travelers of all types as well. If you’re visiting the Modesto area for business and need to get to a big conference, you can count on our team. We can help you get to all local points of attraction with ease and full confidence. Securing top-quality corporate limousine service may seem like it should cost a lot of money. It doesn’t have to cost an arm and a leg for people who rely on Legacy Limousine Service, however. That’s because our company gives customers access to all of the best corporate limousine specials around. If you want to save big on transportation that can accommodate all of your work needs, you can rely on us 100 percent. Our discounts are unrivaled in the area. We make attaining high-quality chauffeured ground transportation services affordable and easy for all. Legacy Limousine Service can manage all of your corporate transportation requirements. If you need a spacious limousine that can seat many passengers all at the same time, you can count on our roomy, bright and modern vehicles. Our limousines give passengers plenty of space to spare. They also come with a broad range of amenities that can suit all sorts of applications and requests. Fans of cozy leather seats won’t be able to turn down our limos. The same goes for people who love modern amenities in general. We can provide you with a corporate transportation experience that’s the perfect combination of comfortable, luxurious and professional. It doesn’t matter if you need to make it to an event located in vibrant downtown Modesto. It doesn’t matter if you need to go to a meeting located on the outskirts of the lovely Stanislaus County city. We can fulfill your wishes perfectly. We regularly take corporate travelers to nearby airports. We regularly pick them up from local airports, too. Our knowledge of Harry Sham Field Airport is unequaled. We know all of the roads and highways located in and around Modesto. Legacy Limousine Service has a fine staff. Our chauffeurs are bona fide professionals. They respect passenger privacy fully. They’re extremely discreet. They always show up on time to pick customers up. They’re the epitome of punctual. If you’re interested in the best corporate limousine specials in the Modesto, California region, nothing can be better than relying on Legacy Limousine Service. Reach out to our full-service transportation firm as soon as possible to set up an appointment for our corporate assistance. We’re a company that cares about true customer satisfaction.